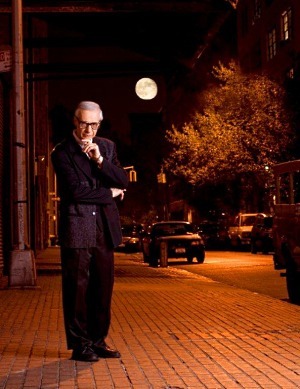 I've always been intrigued by the supernatural, so I was really psyched when we were given the chance to speak with legendary mentalist The Amazing Kreskin. He spoke with us about how he started, whether he was treated as an outcast, what type of person is easiest to read, his thoughts on the future of music, and more! I know you get asked this all the time, but please tell us how you got started. Your timing is unbelievable because I have a new book out that's just been released two weeks ago called Conversations With Kreskin. It's my nineteenth book. In the book, there's a center section that we're all excited about because it's been done by Joe St. Pierre who's a very popular comic book illustrator here in the United States. He's done many of the major comics. It captures in eight pages the first incident that was the turning point of my life. I was nine years old. I was in third grade and it was raining outside so we didn't go out and play. Our teacher said, "I'm going to teach you a game." She sent someone out of the classroom and I can remember to this day it was Jane Hamilton. While she was out of the classroom, we took a little cloth beanbag and hid it somewhere in the room. We put it in someone's desk, I recall. So she calls Jane Hamilton in and says, "I'm going to teach you a game. You walk around and the class will say, 'You're getting warm. You're getting cold. You're getting hot' if you're near it. It's an old game called Hot And Cold." I was really disappointed that I wasn't picked to play it. I'm walking home about a mile to my house. My brother, who's three years younger, is at the house and my Mom's shopping. So I said, "Joey, let's go over to Grandma and Grandpa's house." They were from Sicily, did not speak much English, and I loved them dearly. So I said, "Joey, go upstairs and hide a penny." He goes upstairs, he calls me. I wander up these old steps into an old kitchen. I'm walking slowly through the kitchen into my uncle's bedroom, he was at work. I climbed up into an old chair and I find myself reaching behind a curtain rod and I suddenly felt the penny. It dawned on me I forgot to tell my brother to talk to me. He never said [Hot or Cold]. Somehow, I picked up vibrations and that was the beginning of my career. It got around the family. I was doing it in grade school, reading people's thoughts. By the time I was fourteen years old, I was doing two-hour performances. Today, in all my performances around the world, I've done this over six thousand times. I get someone from the audience I do not know, hand them my check, I leave the theater under guard, and while I'm out of the theater they hide my check anywhere in the theater. When I return, no one talks to me; they just simply think about what they've done. If I don't find my check hidden inside that theater auditorium, I return it to the company that booked me and the show is for free and that's a hell of a way to make a living, you've got to admit that. People ask if I've ever failed. I've failed nine times and you can say, "That's not many out of six thousand." But one of them is very memorable; it took place in New Zealand. It isn't that I simply failed, it's that I lost in one night $51,000. Growing up, did kids treat you as an outcast? No, they didn't. That's the funny thing. I seemed to gather people around me. But you said something very significantly because in my teens, I was always trying to read thoughts. I was building my ability, it didn't happen overnight. The phone would ring. We didn't have Caller ID when I was a kid. The phone would ring and I'd pick it up and say, "Hi Nancy" or "Hi Carol" or "Hi Edward." I noticed within a few months, it started to dawn on me that they were pausing when they answered and it became obvious that they were getting uptight. I realized no one wants someone around you always reading their thoughts. But let me tell you what's interesting about your question: just two weeks ago, there's a PBS series that deals with science research and what have you. They're trying to create a machine that can tap into people's brains and see what their preferences are about things. In this piece they did on PBS, they showed a scene of yours truly on television reading the thoughts of someone in the audience. When they finish showing the scene, they said, "How would you feel if they had a machine that does what Kreskin does?" Do we really want a machine that can be shined on us and know what a person's thinking when it's none of someone else's business? I'm not sure we want that way of life right now. Can you turn your gift off? Yes. Not gift off, but I have to turn it on. I need about a half an hour by myself to get myself ready for a performance, not that things don't happen all the time around me. It's like an athlete who does exercises, does warm-ups before. If I went onstage preoccupied with family problems, something that happened, an issue, I would bury myself because I've got to have my mind free. What I do is different from other forms of show business and the one basic reason is that I have no footlights between me onstage and my audience because it's the audience whose thoughts I'm reading. Is a certain type of person easier to read than another? Yes. A person who is empathetic, a person who feels the way other people feel has more of a sympathetic feeling. They can put themselves into another person's shoes. A person who can sit at a menu and pick only one thing every time is more closed off in their thinking. But a person who is more open and is free with their ideas, free with their thinking. That doesn't mean that everybody's one way or the other. There's no rule, but that's kind of a general pattern. What has been the strangest request you've ever received? I've had some very dramatic situations and one was a man who was investigated by the police. He was considered a suspect because the mother-in-law who died, all of the money was gone and lost. I've worked on eighty-four crime cases in my life. They're not done for publicity reasons, my abilities can sometimes be helpful. They came to me and I met with the who family and after that, I talked to the police. We got into a very vociferous argument. I said, "This man you have as a suspect did not steal the jewelry and the stuff." They argued with me. I said, "No. I've been around him. He's absolutely, positively innocent." He remained a suspect until many months later at the folks' home that died, someone looked down the laundry chute and the mother who had Alzheimer's had thrown all the jewelry there. There it was resting and I was right. That man turned out to be one of the best friends I've had in my life. My life is really an adventure. What do you think will happen in the world of music in 2013? That's a neat question. You asked me something that touches home because I love music. In my performances, I play the piano. I've been playing the piano since I was five. But I want to tell you something: I'm hoping and foreseeing in the months to come a change because I think people are starting to wonder, "Maybe I should hear real music." Our music has become so electronic that we're not necessarily hearing the instruments, the way they sound. You can now hear singers today that have beautiful voices that don't even have those voices and I can start listing them now because some of them lost their voice that worked in Vegas years ago, so you are hearing through electronic means. I have a message for people in show business: Maurice Chevalier, he was a French entertainer, he talked his songs because he didn't have a great singing voice. People were charmed by him. I think that people are going to now thirst for realism in the quality of their entertainment because it's going to become so artificial that we're going to have special effects even in music and that's going to become very disillusioning. Do you think Prince William and Kate Middleton will have a boy or a girl? Don't get me involved with them, please. I think they're neat people. I don't know if we'd want to have royalty here. Royalty might improve what we're dealing with today. I don't suppose you can tell me who will be playing in the Super Bowl, can you? No, because I'm negotiating with a network show on a prediction three days before. Three years ago, on FOX three days before the Super Bowl, I made a prediction as to who I thought would win. I said, "I can't give you the score, but they'll win by seven points." I named the team that would win and they won by seven points. God forbid I predict the results of the Super Bowl because if someone bet money, you'd be doing a story on how Kreskin was murdered by 700 people. The Great Buck Howard is the one that came recently. It came out a few years ago, where John Malkovich plays me. By the way, that movie, The Great Buck Howard, was written by Sean McGinly, who was my road manager for two years. The story in The Great Buck Howard is not my life; I didn't treat my women that way. I'm not that nasty with the people that work for me. Everything that happened on stage in that movie, every single thing really happened to me. You were asking me something, I didn't mean to interrupt you. 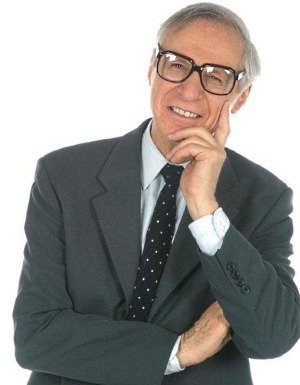 When they finally get around to making The Amazing Kreskin: The Movie, who would you like to portray you? You just said something very interesting, and I know you don't know anything about this because it's never been made public. Right now, a gentleman is working on a motion picture. He's been working on it about a year or so... You know what? I would love to do this. I would love your readers to submit who they would envision as playing me and I would like you to send me this and I will give you feedback on each of the people. This could be an interesting continuation because I'm going to have some fun with this!